The Cronos Elite Business Case is part of our flagship series where monolithic styling meets modern materials and technology. 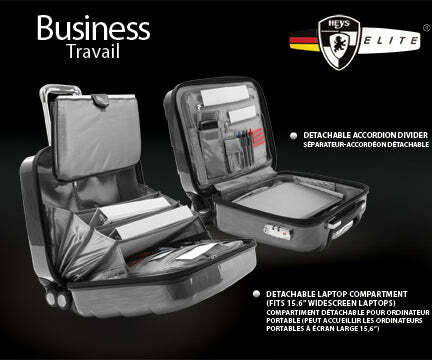 It is a stylish and sophisticated case that makes business trips easier, less stressful and more efficient. Its sleek design looks like it is sculpted straight out of a block of metal and is completed with a realistic brushed metal finish. 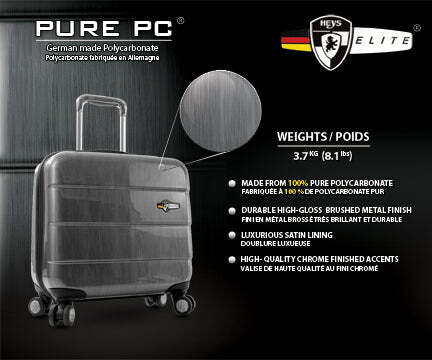 The Cronos Elite Business Case is made from our PURE PC German made Polycarbonate. 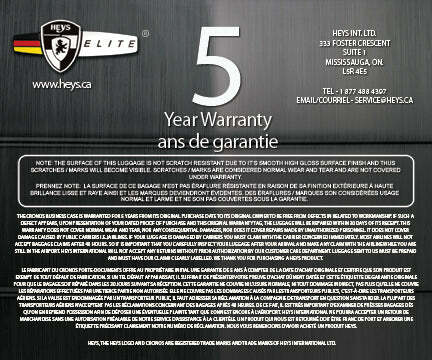 It is the toughest, most durable material we have ever used in our products. 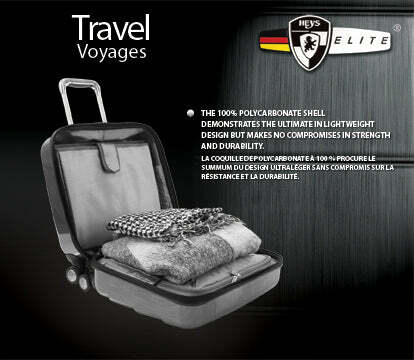 It has been specifically designed for use in luggage due to its high impact resistance, flexibility and exceptional strength properties. Its Spinner wheels with a matching brushed metal finish provide easy maneuverability and allow for effortless gliding in different terrains. 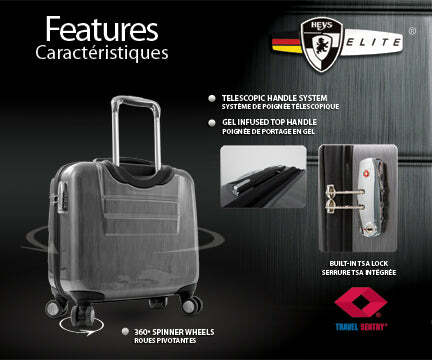 It has a push-button telescopic handle system with multi-stage locking heights as well as top and side handles with TPR foam for better support. The interior has been finished with a luxurious satin fabric featuring a removable accordion divider that transforms the case to a carry-on luggage if so desired. It has an accessories organizer perfect for mobile phones, pens cards & other small accessories. It also comes with a detachable laptop compartment that fits 15.6" widescreen laptops as well as a bonus zippered accessory pouch. A three digit combination TSA™ lock will ensure that there will be no unwanted access to the valuable contents of your case. 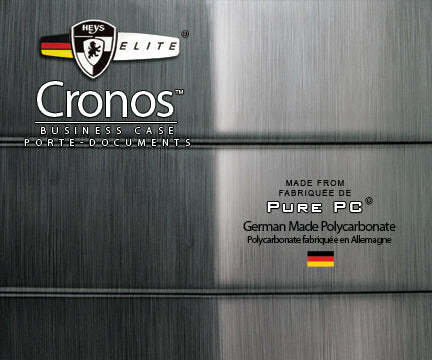 The Cronos Elite Business Case has a solid design that offers incredible strength, durability, flexibility and lightweight properties altogether.